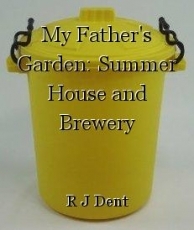 One evening, about a week after the plum tree/creosote/bomb incident, my father rolled a very large empty oil drum down to the bottom of the garden. He rolled it noisily down the path, right to the end of the garden, rolled it in a sharp left turn, then stopped and stood it up so that it was screened by the lilac bushes. I got up and wandered down the garden, followed by my brother. As I got nearer, I could see that my father was putting some bricks on the ground, arranging them in a roughly square symmetrical pattern. Intrigued, I stood back and watched, not sure what was going on. I didn’t really know what I was seeing – was it some obscure pagan ritual; a valiant attempt to contact alien life forms; my dad’s workaday version of Stonehenge, or something so obscure that it hadn’t been heard of by anyone other than my father? As my dad stood up – all of the bricks now obviously in their rightful positions – I had a feeling that I was about to find out. – What’s he doing? my brother whispered. – I don’t know yet, I answered. Let’s wait and see. – Okay, my brother said, cheerfully enough. And so we waited, watching carefully and quietly as our dad stood the empty oil drum on the bricks. Then he knelt down on the ground, picked up a hammer and a metal chisel and proceeded to knock holes in the side of the oil drum, about four inches up from the bottom. He made a hole, then moved the chisel a few inches to the left and made another hole, then repeated the process and made another hole, working his way around the oil drum until there were several holes all the way around its base. – So an animal can breathe in there. – Whatever animals like oil. – Oil lamps aren’t animals. – No, but they like oil and they need air-holes. Bonfire Night was always fun. Bonfires are great and fireworks are even greater. 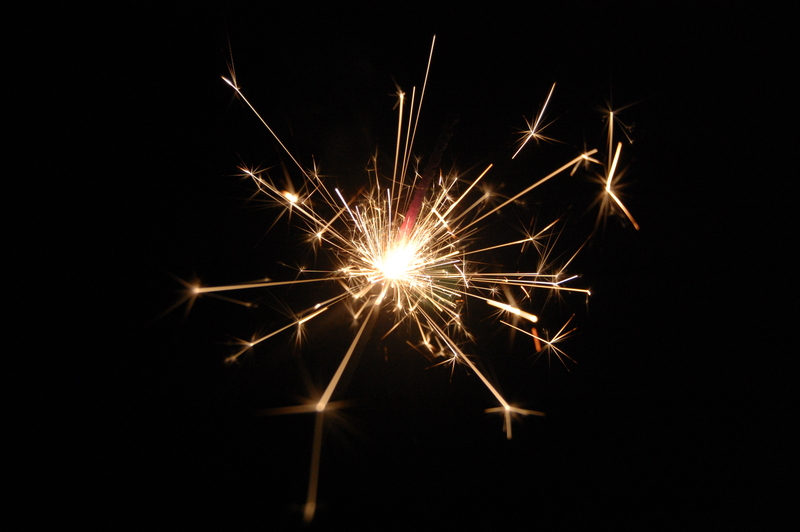 My father never bought lots of fireworks on Bonfire Night – there were never more than eight to ten in a box, but there were Catherine Wheels, Roman Candles, Fountains, Jumping Jacks, Bottle Rockets, Fire Crackers – and we always had Sparklers. Several lengths of silver angle-iron had been in the garden for over a week before my father acknowledged their existence. – Ah, yes. I’d better put that together, he said cryptically, one morning. Later on, he’d assembled several lengths of the angle-iron into a cube-shaped frame. – What are you making, dad? – What are you assembling, dad? 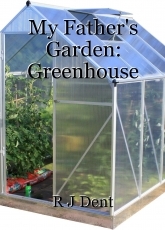 – A greenhouse. With a gable roof. – Are you going to grow anything in it? – No, I thought I’d leave it empty for years, and then knock it down. One morning, I found twenty-two garden gnomes standing on the drive. My father was walking around them, looking thoughtful. The gnomes were made of resin and they hadn’t been painted. They were all an off-white colour and they looked eerie, like an army of albino midgets. – What are these for? – What are gnomes usually for? my father countered. I thought for a moment, and then shrugged. Once my father realised that my sister never went near, let alone into, the tree house he’d built for her, he decided to dismantle it and build a summer house instead. For the next few evenings, he very carefully disassembled the tree house and stacked all of the individual pieces against the shed wall. He then drew a plan of the new summer house. He used a piece of butcher’s paper and a wax crayon, and then explained the diagram to me. – It’s got a hexagonal back and sides and a flat front for maximum sunlight capture. I nodded, wondering about the ‘maximum sunlight capture’. Anyway, within a week, my father had built a summer house. It looked exactly like the one in his diagram, which ordinarily would have been a positive factor or a compliment, but which, in this case, was not. It was a wooden structure that looked a lot like a very large sentry box. The back and sides nodded at hexagonality; the front was two huge sliding patio doors. – It looks like a public lavatory, my brother said. – It’s a bit open-fronted for that, my father protested. 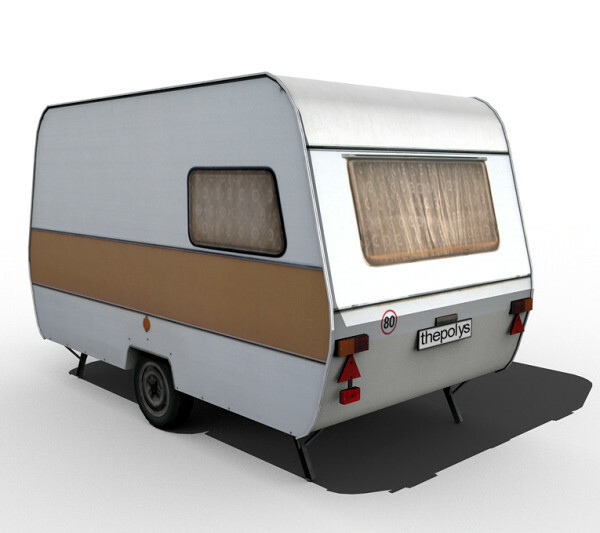 There was considerable excitement in our family when our mother mentioned that we might be getting a caravan. We talked it up into something more than it was, so that when it finally arrived on our drive, it was something of an anticlimax. The caravan itself was a bit scruffy; it would need painting before it was ready for use. My father, as ever, was ready for the challenge. He and my mother debated the colour-scheme. – Beige is nice, my father said. – Dove grey is nicer. – Pale green’s quite nice. – I think dove grey would look nice, my father said, but only if it’s contrasted with a brighter colour – something like maroon or lime green. My sister had been pestering my father for a tree house for months. – All my friends have got one. – It’s not the same, my sister wailed. – Why don’t I just throw a shed up into the ash tree’s branches? my father said. You can use that. – You always say something like that when you don’t want me to have nice things, my sister whinged. It’s so unfair. All my friends think I’m a freak because I don’t have a tree house. It’s embarrassing. – Well, you should always listen to your friends. – What do you mean? my sister asked suspiciously. – What I say. It’s not a secret message. – I’m just saying your friends are right, that’s all. – I knew it, she said. My father walked slowly down to the bottom of the garden. I followed him discreetly. Right at the foot of the garden, about four feet away from the fence that separated my father’s garden from the neighbour’s garden was an ash tree. Ash trees grow very straight and very tall. This one was no exception; it had been there for years and was very straight and was about thirty feet high. My father looked at the ash tree for a very long time. 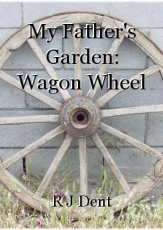 – Some gardens have a wagon wheel in them, my mother said. – What for? my father asked. – For decoration. It leans against the house wall as a decorative feature. – I see. Well, I might be able to get hold of one for you, my father said. – Oh, good. That’d be nice. 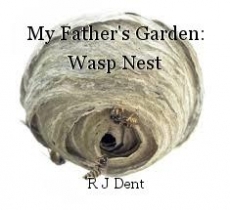 My father’s first attempt was a dismal failure; he brought home a huge tractor tyre. It was taller than he was. My father rolled it into the front garden and leaned it against the house wall. It loomed there gigantically as he went to find my mother. – Oh, no, that’s not right, my mother said, on being shown the tyre. – Is it not? my father asked, clearly surprised. – Well, it’s not a wagon wheel, is it? – What this garden needs is a couple of statues, my father said one day. He was standing in the back garden, looking at his horticultural empire. My mother was sitting on the garden bench, drinking a cup of tea and skim-reading a newspaper. – That’s a good idea, she said. Let’s go to the garden centre and see what they’ve got. My father cleared his throat and shuffled his feet. – I was thinking more along the lines of making them myself.